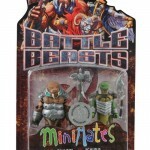 Battle Beasts Minimates Are Ready to Invade! 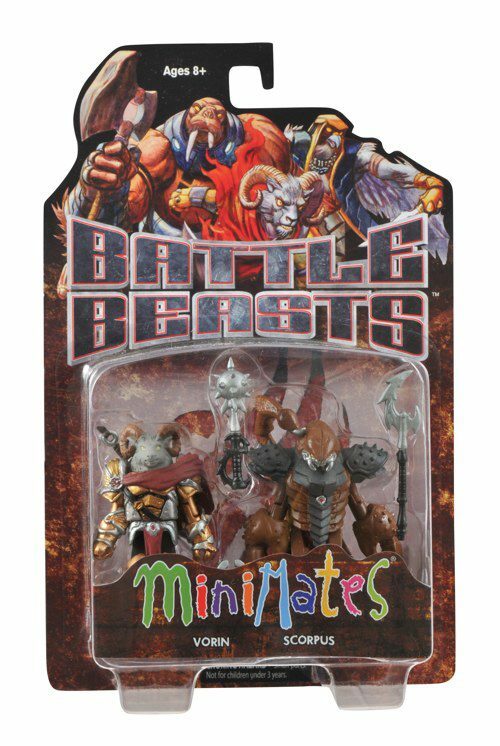 Now that the collected edition of IDW Publishing’s Battle Beasts comic book mini-series is out in stores, we’re counting the days until the Minimates are here! 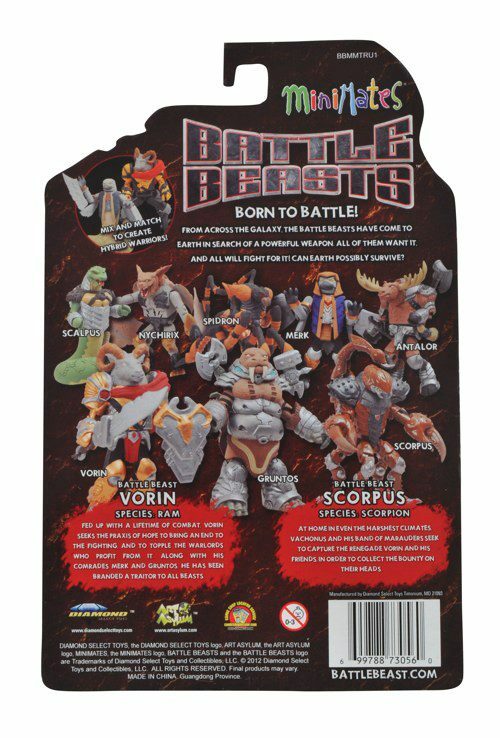 Check out the packaged images of the first Toys “R” Us assortment, with exclusive colorations of heroes Vorin. 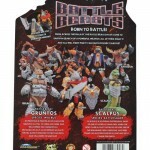 Merk and Gruntos, some new opponents in Scorpus, Scalpus and Spidron, and two all-new figures in Nychirix and Antalor! 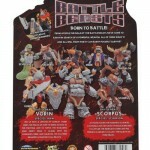 Check out the packaging, and look for them in Toys “R” Us towards the end of the month! 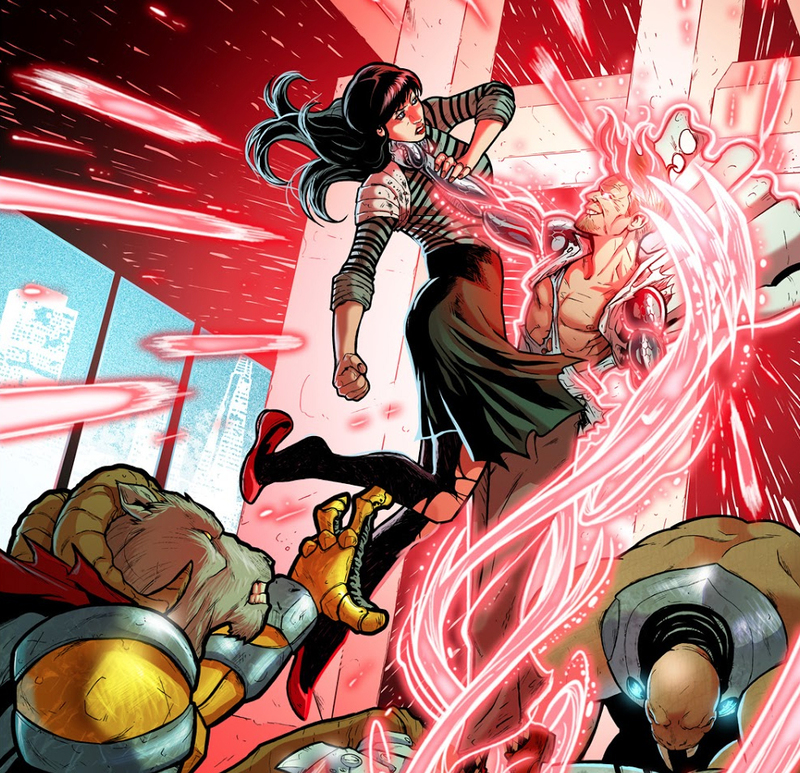 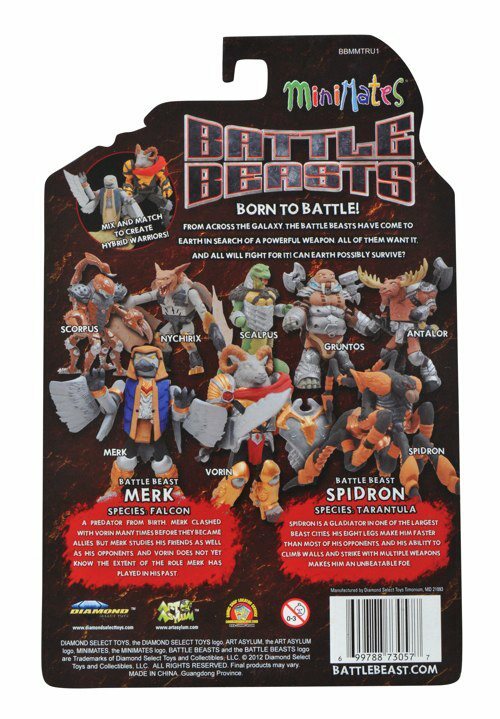 The all-different specialty wave will arrive in January! 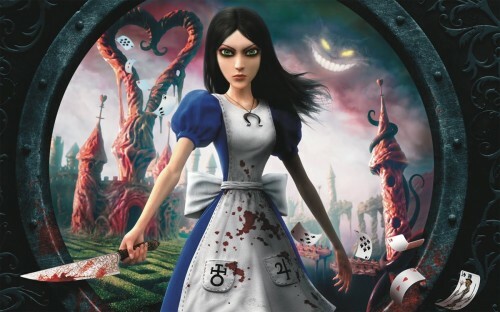 Next Up: The Alice: Madness Returns Femme Fatales Statue is Stab-tastic! Toys “R” Us-Exclusive Battle Beasts Minimates Revealed! 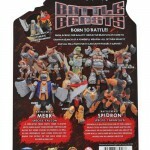 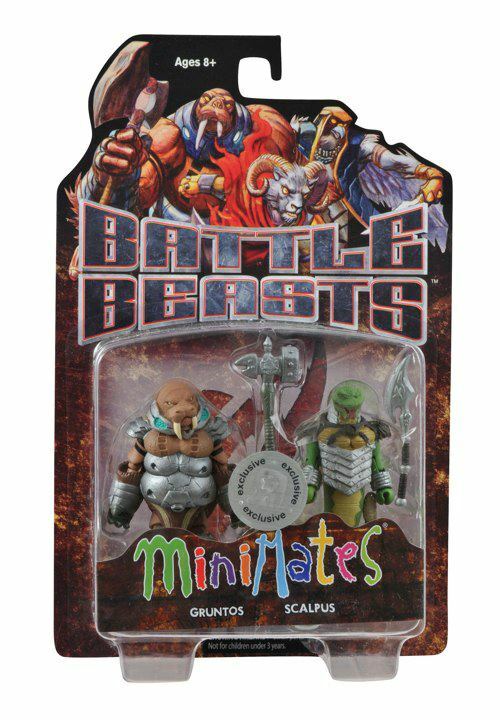 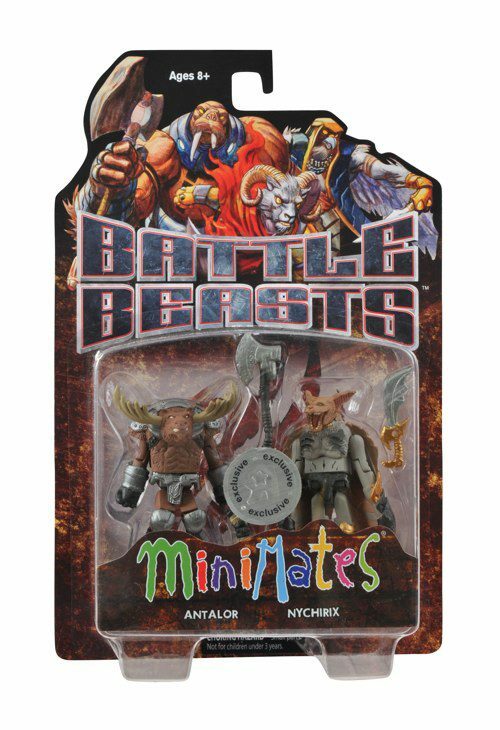 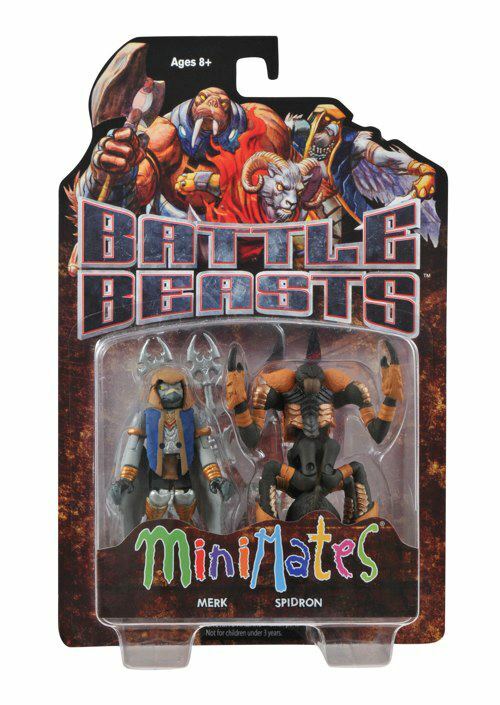 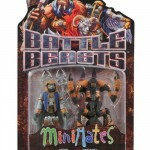 On Sale This Week: Battle Beasts Minimates Series 1! 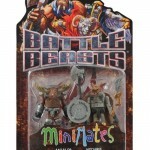 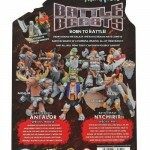 Battle Beasts Minimates Series 1 Charges Towards Comic Shops! 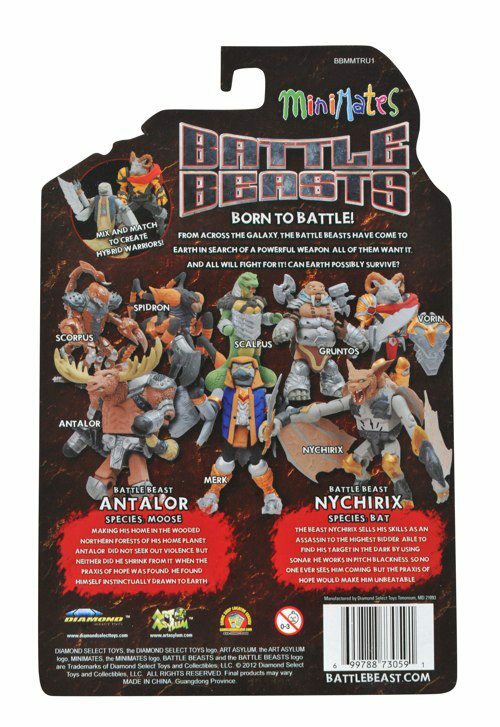 Diamond Select Toys and IDW to Unleash the Battle Beasts at C2E2! 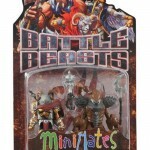 Get Ready for Round 2 with Street Fighter X Tekken Minimates Series 2 Packaging Shots!